Are you ready to get behind the wheel of a car that you genuinely love driving? Explore the 2018 Chevy Malibu models available at Cox Chevrolet. $4,942 off MSRP! Priced below KBB Fair Purchase Price! This 2019 Chevrolet Malibu LS in Shadow Gray Metallic is well equipped with: 16" Aluminum Wheels, Emergency communication system: OnStar and Chevrolet connected services capable, Exterior Parking Camera Rear, Radio: Chevrolet Infotainment 3 System. 29/36 City/Highway MPG Included 2 Year Complimentary Basic Maintenance / In Business Over 90 years / Call 1-888-844-3454 For Details. %Off Offer includes price reduction below MSRP and Cash Allowance. On Select 2019 Chevrolet Vehicles. Not available with special finance, lease or other offers. Take new retail delivery by 04/30/19. GMF Down Payment Assistance. Cash usable only if financed through a supported or unsupported GMF contract. NOT Compatible with Standalone APR Program. Customer must qualify and finance with GM Financial. See participating dealer for details. %Off Offer includes price reduction below MSRP and Cash Allowance. On Select 2019 Chevrolet Vehicles. Not available with special finance, lease or other offers. Take new retail delivery by 04/30/19. GMF Down Payment Assistance. Cash usable only if financed through a supported or unsupported GMF contract. NOT Compatible with Standalone APR Program. Customer must qualify and finance with GM Financial. See participating dealer for details. $4,942 off MSRP! Priced below KBB Fair Purchase Price! This 2019 Chevrolet Malibu LS in Mosaic Black Metallic is well equipped with: 16" Aluminum Wheels, Emergency communication system: OnStar and Chevrolet connected services capable, Exterior Parking Camera Rear, Radio: Chevrolet Infotainment 3 System, Speed control. 29/36 City/Highway MPG Included 2 Year Complimentary Basic Maintenance / In Business Over 90 years / Call 1-888-844-3454 For Details. %Off Offer includes price reduction below MSRP and Cash Allowance. On Select 2019 Chevrolet Vehicles. Not available with special finance, lease or other offers. Take new retail delivery by 04/30/19. GMF Down Payment Assistance. Cash usable only if financed through a supported or unsupported GMF contract. NOT Compatible with Standalone APR Program. Customer must qualify and finance with GM Financial. See participating dealer for details. %Off Offer includes price reduction below MSRP and Cash Allowance. On Select 2019 Chevrolet Vehicles. Not available with special finance, lease or other offers. Take new retail delivery by 04/30/19. GMF Down Payment Assistance. Cash usable only if financed through a supported or unsupported GMF contract. NOT Compatible with Standalone APR Program. Customer must qualify and finance with GM Financial. See participating dealer for details. $4,628 off MSRP! Priced below KBB Fair Purchase Price! This 2019 Chevrolet Malibu LS in Mosaic Black Metallic is well equipped with: 16" Aluminum Wheels, Emergency communication system: OnStar and Chevrolet connected services capable, Exterior Parking Camera Rear, Illuminated entry, Outside temperature display, Radio: Chevrolet Infotainment 3 System, Speed control. 29/36 City/Highway MPG Included 2 Year Complimentary Basic Maintenance / In Business Over 90 years / Call 1-888-844-3454 For Details. %Off Offer includes price reduction below MSRP and Cash Allowance. On Select 2019 Chevrolet Vehicles. Not available with special finance, lease or other offers. Take new retail delivery by 04/30/19. GMF Down Payment Assistance. Cash usable only if financed through a supported or unsupported GMF contract. NOT Compatible with Standalone APR Program. Customer must qualify and finance with GM Financial. See participating dealer for details. %Off Offer includes price reduction below MSRP and Cash Allowance. On Select 2019 Chevrolet Vehicles. Not available with special finance, lease or other offers. Take new retail delivery by 04/30/19. GMF Down Payment Assistance. Cash usable only if financed through a supported or unsupported GMF contract. NOT Compatible with Standalone APR Program. Customer must qualify and finance with GM Financial. See participating dealer for details. $4,628 off MSRP! Priced below KBB Fair Purchase Price! This 2019 Chevrolet Malibu LS in Silver Ice Metallic is well equipped with: Emergency communication system: OnStar and Chevrolet connected services capable, Exterior Parking Camera Rear, Radio: Chevrolet Infotainment 3 System, Remote Start Kit (LPO), Speed control. 29/36 City/Highway MPG Included 2 Year Complimentary Basic Maintenance / In Business Over 90 years / Call 1-888-844-3454 For Details. %Off Offer includes price reduction below MSRP and Cash Allowance. On Select 2019 Chevrolet Vehicles. Not available with special finance, lease or other offers. Take new retail delivery by 04/30/19. GMF Down Payment Assistance. Cash usable only if financed through a supported or unsupported GMF contract. NOT Compatible with Standalone APR Program. Customer must qualify and finance with GM Financial. See participating dealer for details. %Off Offer includes price reduction below MSRP and Cash Allowance. On Select 2019 Chevrolet Vehicles. Not available with special finance, lease or other offers. Take new retail delivery by 04/30/19. GMF Down Payment Assistance. Cash usable only if financed through a supported or unsupported GMF contract. NOT Compatible with Standalone APR Program. Customer must qualify and finance with GM Financial. See participating dealer for details. $4,628 off MSRP! Priced below KBB Fair Purchase Price! This 2019 Chevrolet Malibu LS in Pacific Blue Metallic is well equipped with: 16" Aluminum Wheels, Emergency communication system: OnStar and Chevrolet connected services capable, Exterior Parking Camera Rear, Radio: Chevrolet Infotainment 3 System, Speed control. 29/36 City/Highway MPG Included 2 Year Complimentary Basic Maintenance / In Business Over 90 years / Call 1-888-844-3454 For Details. %Off Offer includes price reduction below MSRP and Cash Allowance. On Select 2019 Chevrolet Vehicles. Not available with special finance, lease or other offers. Take new retail delivery by 04/30/19. GMF Down Payment Assistance. Cash usable only if financed through a supported or unsupported GMF contract. NOT Compatible with Standalone APR Program. Customer must qualify and finance with GM Financial. See participating dealer for details. %Off Offer includes price reduction below MSRP and Cash Allowance. On Select 2019 Chevrolet Vehicles. Not available with special finance, lease or other offers. Take new retail delivery by 04/30/19. GMF Down Payment Assistance. Cash usable only if financed through a supported or unsupported GMF contract. NOT Compatible with Standalone APR Program. Customer must qualify and finance with GM Financial. See participating dealer for details. $4,628 off MSRP! Priced below KBB Fair Purchase Price! This 2019 Chevrolet Malibu LS in Shadow Gray Metallic is well equipped with: 16" Aluminum Wheels, Emergency communication system: OnStar and Chevrolet connected services capable, Exterior Parking Camera Rear, Illuminated entry, Outside temperature display, Radio: Chevrolet Infotainment 3 System, Speed control. 29/36 City/Highway MPG Included 2 Year Complimentary Basic Maintenance / In Business Over 90 years / Call 1-888-844-3454 For Details. %Off Offer includes price reduction below MSRP and Cash Allowance. On Select 2019 Chevrolet Vehicles. Not available with special finance, lease or other offers. Take new retail delivery by 04/30/19. GMF Down Payment Assistance. Cash usable only if financed through a supported or unsupported GMF contract. NOT Compatible with Standalone APR Program. Customer must qualify and finance with GM Financial. See participating dealer for details. %Off Offer includes price reduction below MSRP and Cash Allowance. On Select 2019 Chevrolet Vehicles. Not available with special finance, lease or other offers. Take new retail delivery by 04/30/19. GMF Down Payment Assistance. Cash usable only if financed through a supported or unsupported GMF contract. NOT Compatible with Standalone APR Program. Customer must qualify and finance with GM Financial. See participating dealer for details. $5,021 off MSRP! Priced below KBB Fair Purchase Price! This 2019 Chevrolet Malibu RS in Mosaic Black Metallic is well equipped with: 8-Way Power Driver Seat Adjuster, Emergency communication system: OnStar and Chevrolet connected services capable, Exterior Parking Camera Rear, Wheels: 18" Black Chrome Finish Aluminum. 29/36 City/Highway MPG Included 2 Year Complimentary Basic Maintenance / In Business Over 90 years / Call 1-888-844-3454 For Details. %Off Offer includes price reduction below MSRP and Cash Allowance. On Select 2019 Chevrolet Vehicles. Not available with special finance, lease or other offers. Take new retail delivery by 04/30/19. GMF Down Payment Assistance. Cash usable only if financed through a supported or unsupported GMF contract. NOT Compatible with Standalone APR Program. Customer must qualify and finance with GM Financial. See participating dealer for details. %Off Offer includes price reduction below MSRP and Cash Allowance. On Select 2019 Chevrolet Vehicles. Not available with special finance, lease or other offers. Take new retail delivery by 04/30/19. GMF Down Payment Assistance. Cash usable only if financed through a supported or unsupported GMF contract. NOT Compatible with Standalone APR Program. Customer must qualify and finance with GM Financial. See participating dealer for details. $1,840 off MSRP! Priced below KBB Fair Purchase Price! This 2019 Chevrolet Malibu LS in Pacific Blue Metallic is well equipped with: 16" Aluminum Wheels, Emergency communication system: OnStar and Chevrolet connected services capable, Exterior Parking Camera Rear, Radio: Chevrolet Infotainment 3 System, Remote Start Kit (LPO), Speed control. 29/36 City/Highway MPG Included 2 Year Complimentary Basic Maintenance / In Business Over 90 years / Call 1-888-844-3454 For Details. $1,840 off MSRP! Priced below KBB Fair Purchase Price! This 2019 Chevrolet Malibu LS in Shadow Gray Metallic is well equipped with: 16" Aluminum Wheels, Emergency communication system: OnStar and Chevrolet connected services capable, Exterior Parking Camera Rear, Radio: Chevrolet Infotainment 3 System. 29/36 City/Highway MPG Included 2 Year Complimentary Basic Maintenance / In Business Over 90 years / Call 1-888-844-3454 For Details. $4,625 off MSRP! Priced below KBB Fair Purchase Price! This 2019 Chevrolet Malibu LT in Northsky Blue Metallic is well equipped with: 8-Way Power Driver Seat Adjuster, Automatic temperature control, Front dual zone A/C, Heated front seats, SiriusXM Radio. 29/36 City/Highway MPG Included 2 Year Complimentary Basic Maintenance / In Business Over 90 years / Call 1-888-844-3454 For Details. %Off Offer includes price reduction below MSRP and Cash Allowance. On Select 2019 Chevrolet Vehicles. Not available with special finance, lease or other offers. Take new retail delivery by 04/30/19. GMF Down Payment Assistance. Cash usable only if financed through a supported or unsupported GMF contract. NOT Compatible with Standalone APR Program. Customer must qualify and finance with GM Financial. See participating dealer for details. %Off Offer includes price reduction below MSRP and Cash Allowance. On Select 2019 Chevrolet Vehicles. Not available with special finance, lease or other offers. Take new retail delivery by 04/30/19. GMF Down Payment Assistance. Cash usable only if financed through a supported or unsupported GMF contract. NOT Compatible with Standalone APR Program. Customer must qualify and finance with GM Financial. See participating dealer for details. $4,627 off MSRP! Priced below KBB Fair Purchase Price! This 2019 Chevrolet Malibu LT in Pacific Blue Metallic is well equipped with: 8-Way Power Driver Seat Adjuster, Automatic temperature control, Emergency communication system: OnStar and Chevrolet connected services capable, Front dual zone A/C, Heated door mirrors, SiriusXM Radio. 29/36 City/Highway MPG Included 2 Year Complimentary Basic Maintenance / In Business Over 90 years / Call 1-888-844-3454 For Details. %Off Offer includes price reduction below MSRP and Cash Allowance. On Select 2019 Chevrolet Vehicles. Not available with special finance, lease or other offers. Take new retail delivery by 04/30/19. GMF Down Payment Assistance. Cash usable only if financed through a supported or unsupported GMF contract. NOT Compatible with Standalone APR Program. Customer must qualify and finance with GM Financial. See participating dealer for details. %Off Offer includes price reduction below MSRP and Cash Allowance. On Select 2019 Chevrolet Vehicles. Not available with special finance, lease or other offers. Take new retail delivery by 04/30/19. GMF Down Payment Assistance. Cash usable only if financed through a supported or unsupported GMF contract. NOT Compatible with Standalone APR Program. Customer must qualify and finance with GM Financial. See participating dealer for details. $4,627 off MSRP! Priced below KBB Fair Purchase Price! This 2019 Chevrolet Malibu LT in Pacific Blue Metallic is well equipped with: 8-Way Power Driver Seat Adjuster, Automatic temperature control, Emergency communication system: OnStar and Chevrolet connected services capable, Exterior Parking Camera Rear, Front dual zone A/C, SiriusXM Radio. 29/36 City/Highway MPG Included 2 Year Complimentary Basic Maintenance / In Business Over 90 years / Call 1-888-844-3454 For Details. %Off Offer includes price reduction below MSRP and Cash Allowance. On Select 2019 Chevrolet Vehicles. Not available with special finance, lease or other offers. Take new retail delivery by 04/30/19. GMF Down Payment Assistance. Cash usable only if financed through a supported or unsupported GMF contract. NOT Compatible with Standalone APR Program. Customer must qualify and finance with GM Financial. See participating dealer for details. %Off Offer includes price reduction below MSRP and Cash Allowance. On Select 2019 Chevrolet Vehicles. Not available with special finance, lease or other offers. Take new retail delivery by 04/30/19. GMF Down Payment Assistance. Cash usable only if financed through a supported or unsupported GMF contract. NOT Compatible with Standalone APR Program. Customer must qualify and finance with GM Financial. See participating dealer for details. Considering the 2018 Chevy Malibu sedans for sale in Bradenton, FL are an improvement on the 2017 model, which was named the “Best Midsize Car for Families” by U.S. News & World Report, you can expect the all-new Malibu to set a benchmark in its segment once again. 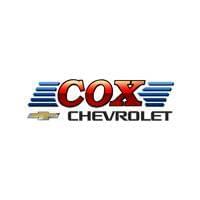 See your payments now, and when you’re ready to take it for a spin, come to Cox Chevrolet.